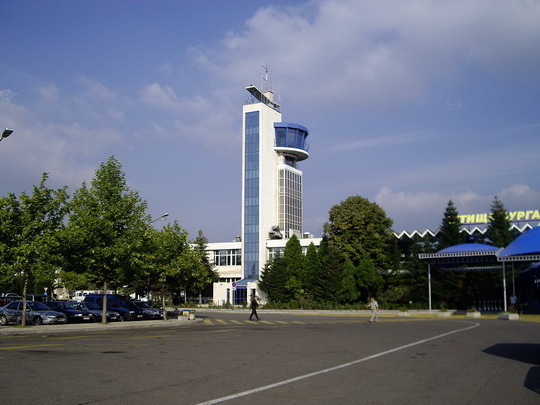 Burgas Airport (IATA: BOJ, ICAO: LBBG), (Bulgarian: Летище Бургас, Letishte Burgas) and also known as Sarafovo Airport is an airport in southeast Bulgaria and the second largest airport in the country. 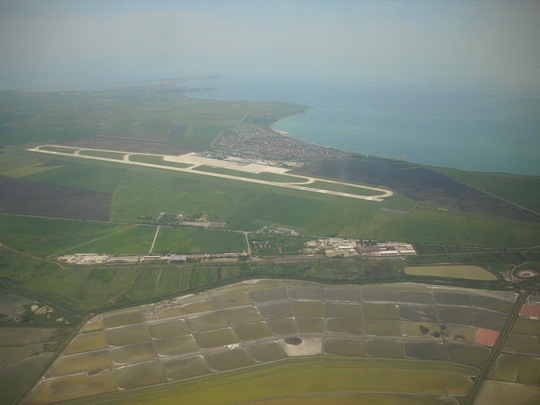 The airport is located near to the north neighbourhood of Burgas, Sarafovo almost 10 kilometres from the city centre. Between the airport and the city centre is located the Lake Atanasovsko. 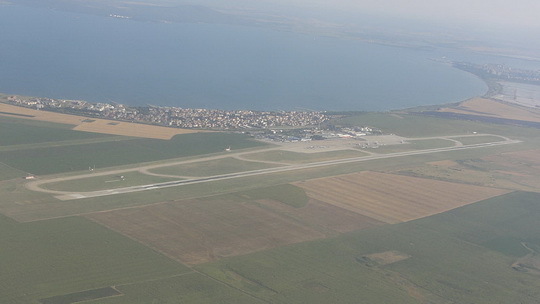 Burgas Airport has the fourth runway length on the Balkans (3200m) after Athens Airport, Sofia Airport and Belgrade Airport. The airport has also well established links to intermodal transport by land (road and railway) and sea. 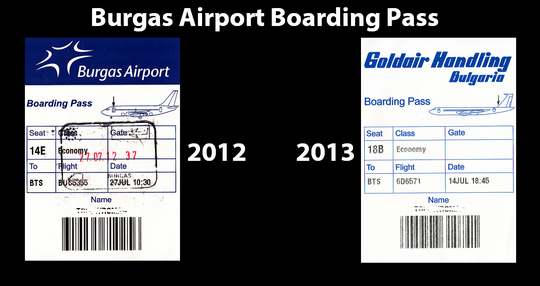 In 2012, the airport handled 2,356,865 passengers, a 5.7% increase compared to 2,229,045 handled in 2011. On 27 June 1927 the French company CIDNA (now part of Air France), chose the area of Burgas Airport to build a radio station and signed a contract with the Bulgarian government for its use. The contract expressly stated that the staff of Burgas Airport would be Bulgarian. On 29 June 1947, Balkan Bulgarian Airlines began domestic flights between Burgas, Plovdiv and Sofia, using Junkers Ju 52/3m aircraft. In the 1950s and 1960s the airport was expanded and modernized by building a concrete runway. In 1970, the airport became an international airport serving 45 destinations. Currently, Burgas airport is subject to heavy traffic following the growing tourism industry in Bulgaria and is in need of major investments to expand and handle projected passenger traffic. 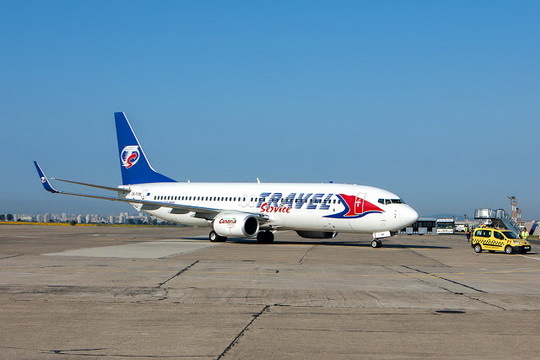 In June 2006, the Bulgarian Government awarded Fraport AG Frankfurt Airport Services Worldwide a 35 year long concession on both Varna and Burgas airports in return for investments exceeding �500 million. On 18 July 2012 a bomb exploded on a passenger bus transporting Israeli tourists at the Burgas Airport. The explosion killed seven people and injured thirty-two (see 2012 Burgas bus bombing). Currently they are two Terminals at the airport, mentioned als Terminal Arrivals, and Terminal Departures. The first of them was built in the 1950s, the second in the early 1990s. In both terminals there are various outlets: cafes, fast food restaurants, currency exchange, duty-free shops also a VIP room and business lounge. 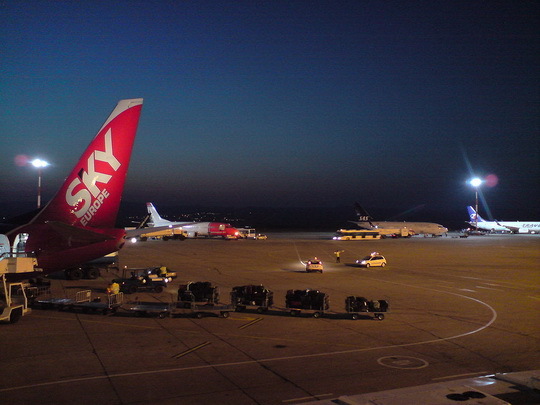 In December 2011 began construction work on new Terminal. The new terminal will have a capacity of 2,700,000 passengers and 31 check-in desks and covers an area of 20,000m2. The new terminal buildings are designed so that it can their capacity, if necessary, be further increased as an extension to the existing architectural part. 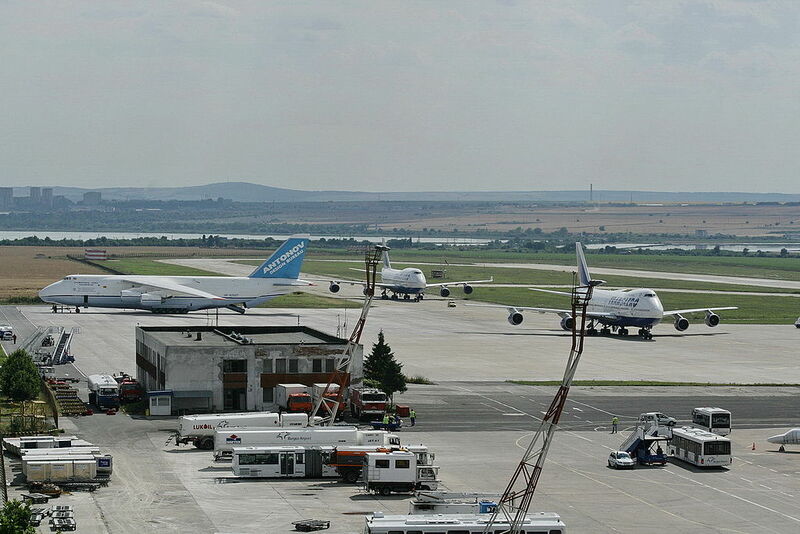 Construction of new terminal should be completed by the winter of 2013. There are domestic and international flights to about 116 destinations in 33 countries, by more than 69 Bulgarian and foreign airlines. The busiest season for the airport is from the end of April to the beginning of October. Line No 15 (Bus-stop: located at the entrance of the airport area).Initial and final bus stops in Burgas � Burgas south bus stop. The Taxi Piazza is located in front of the Arrivals Terminal at Burgas Airport. 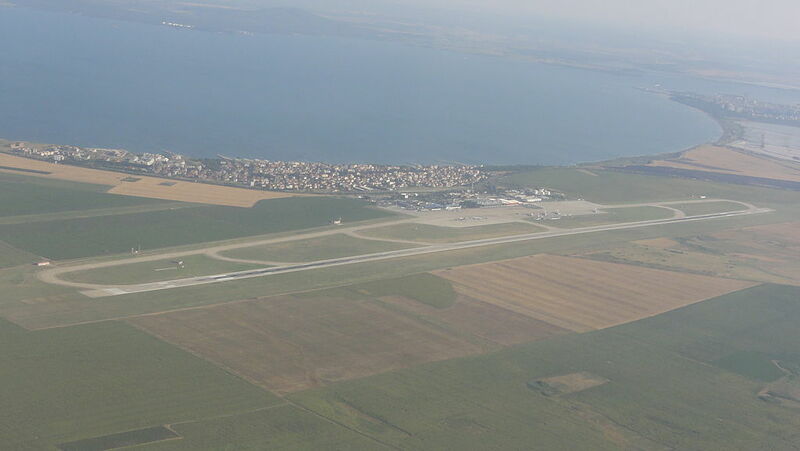 A taxi ride from Burgas Airport to the city takes approx 15 minutes, depending on the traffic intensity. 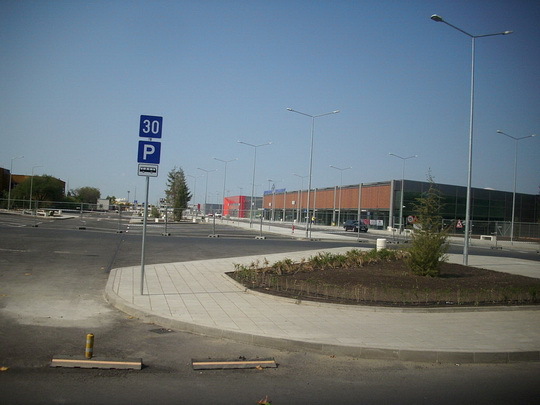 Passengers and guests arriving at Burgas Airport with their personal car can use the commercially available parking lot, located in the immediate vicinity of the main terminal building. The parking lot has 199 car spaces available and is accessible 24 hours a day. On 18 July 2012, an attack at Burgas Airport occurred. A suicide bomber boarded a bus which was transporting Israeli citizens to the Bulgarian resort of Sunny Beach located in Burgas, the perpetrator detonated the bomb killing 6 civilians (+ 1 suicide bomber) as well as injuring 32 people. 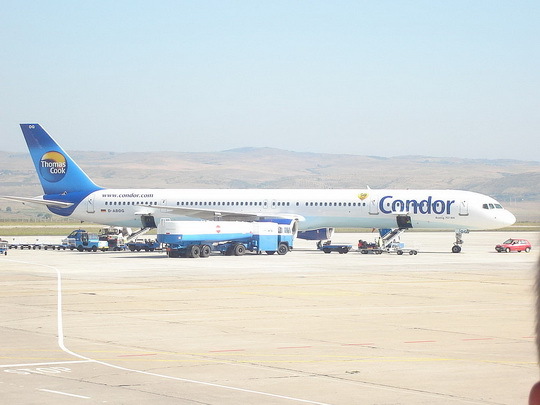 The attack resulted in the closure of Burgas Airport for over 30 hours, resulting in the majority of flights diverting to Varna Airport. Burgas Airport - Old (2012) and new (2013) Boarding Pass. Burgas Airport - Burgas Airport apron at night. 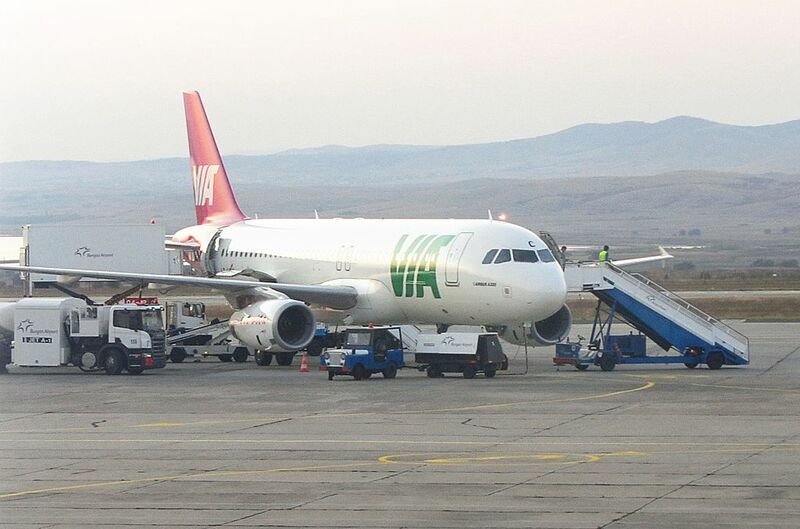 Burgas Airport - Air Via Airbus A320 ground handling at Burgas Airport. Burgas Airport - Condor Boeing 757-300 at Burgas Airport. 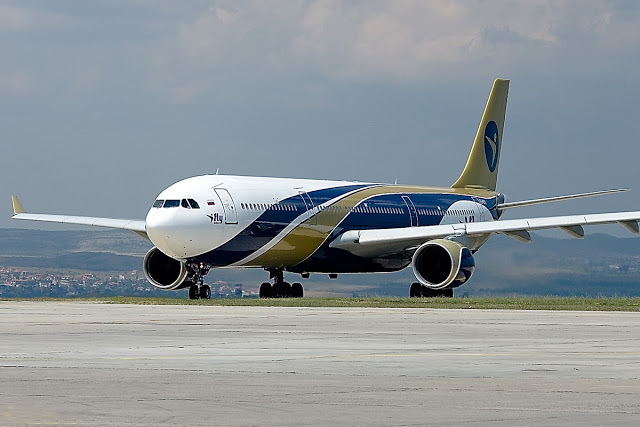 Burgas Airport - I-Fly Airbus A330-300 taxiing at Burgas Airport. 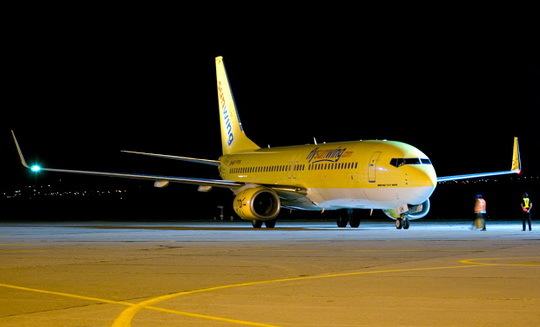 Burgas Airport - SmartWings Boeing 737-800 at Burgas Airport. Burgas Airport - Travel Service Airlines Boeing 737-800 taxiing at Burgas Airport. 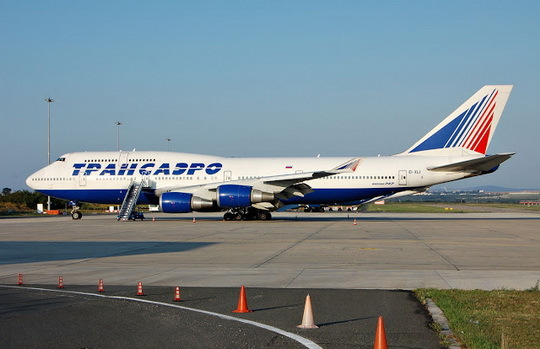 Burgas Airport - Transaero Airlines Boeing 747-400 at Burgas Airport. We don't guarantee the information is fresh and accurate. The data may be wrong or outdated. For more up-to-date information please refer to other sources.